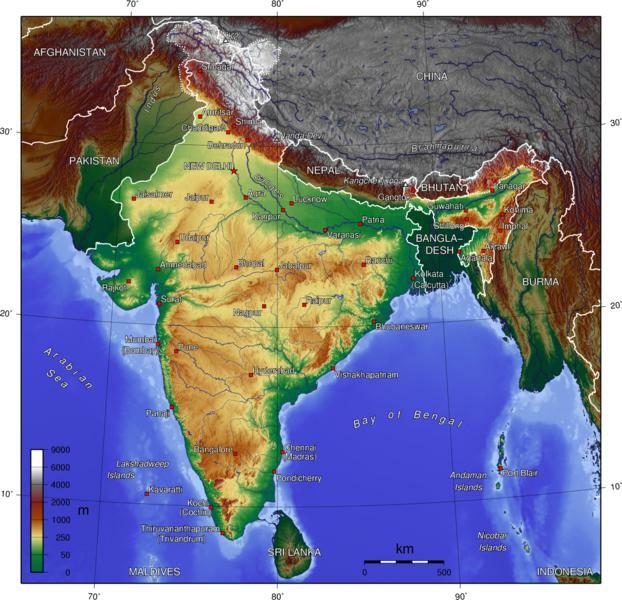 Due to the compression of the Pacific during the forthcoming pole shift, India is forced under the Himalayan highlands, with a violent thrust of the Indo-Australian plate, which is strong enough to remain whole, yet the edges of which will separate from the surrounding plates so that it is free to move and slide under the Himalayas. Those in India will find, after the first strong jolts, that water is rapidly rising, coming in from the coast for those who live there, and coming from whatever area might be considered the lowland for those inland. Giant waves will not occur, just a rapid rise in the water, which will force man and animal alike to tread water for as long as possible, then drown. Those in boats will find a different scenario when the water reaches a height, as then vortexes, created by adjustments in the water, will capsize small boats and large alike. Those who would survive the coming cataclysms are advised to leave the lowlands, which in the case of India as well as western Australia, means leaving the country. Go high into the mountains, and out of reach of the turmoil that mountain building in the Himalayas will present. More than the country of India and Bangladesh and Bhutan will be pushed under the Himalayas. Check the topographic map and see where the wrinkles are. This is where land has been rumpled as something was pushed under it. 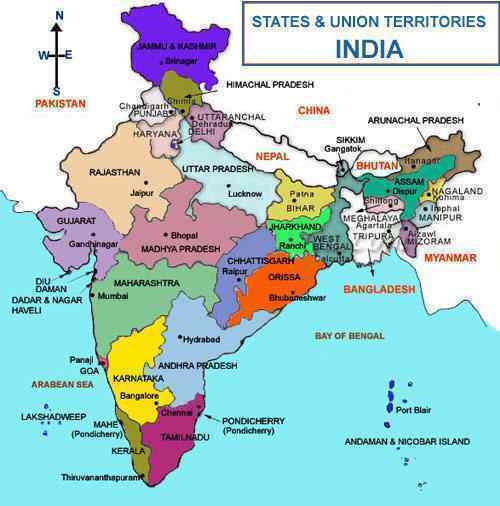 Note that along the border with Burma and Tibet and Nepal, that the lands of India are lowlands, where the land has been pushed down in the recent past. Why would the highlands of India be just in the center of the country, and not border the high Himalayas? This is what will become of India and all on that plate that is being pushed down and under. Those in India are advised not to seek high ground within Indian's interior, but to head to the Himalayas, to Tibet and Nepal and China or the high mountains that are officially Indian territory - Srinagar. Pakistan will also be high ground but the area will rupture to become a new seaway, so this is unstable territory and the lowlands will be flooded during the hour of the shift. Note India 7 of 10 Tilt commentary. Note Mumbai and Banglore commentary.